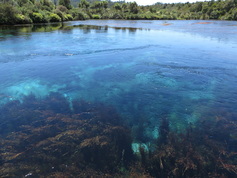 The glacial valley of the Cobb River lies nestled within the Kahurangi National Park. The creation of the Cobb Reservoir in the 1940s required the construction of a road into this unique and fascinating place. The road leads us past New Zealand's highest power station, and climbs to 1000m. The scenery is dramatic. Once we emerge out of the forest and onto the ridge, the true magic of this area begins to unfold: mountain ranges as far as the eye can see, ancient beech forests and sub-alpine meadows with a variety of distinctive flora. 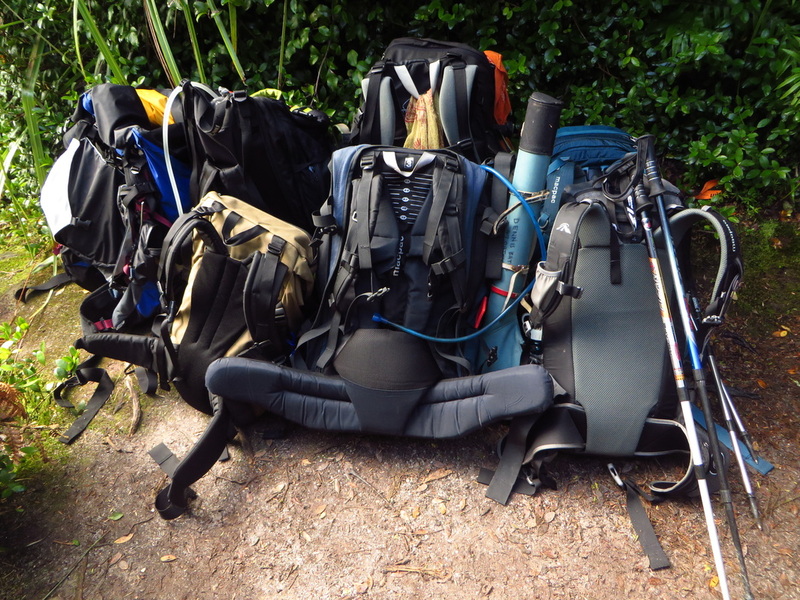 A wealth of tracks leads to numerous mountain lakes and tarns, streams, summits and huts. The surrounding geology reveals stories from the past: 500 million year old rocks which contain trilobite fossils, clear remnants of the valley's glaciated history such as its distinctive U shaped valleys and the obvious mounds of glacial moraine. ​Our Cobb Explorer package includes a scenic drive up the Cobb River gorge, four nights in basic accommodation (with hot showers and electricity) and tasty meals every night, and a selection of fabulous and varied day walks each day. Please note: day walks can be easily interchanged, we can make our decision each day depending on the weather. ​We pick you up from Nelson and drive to the Cobb Valley. On the way we stop for a picnic lunch and a short walk at the Riwaka Resurgance Reserve (approx 1 hr from Nelson) before winding our way over the Takaka Hill, up the Cobb river gorge, past the Cobb powerhouse and then into the Cobb Valley. Once we arrive you will have time to settle in to our accomodation at the Cobb Reervoir, and take a short walk across the dam to explore the area. The walk up to Lake Sylvester follows a graded track which zig-zags its way up to the lake. From the lake some may like to climb part of the way up Iron Hill and then continue on around the back of the lake and down the ridge to meet the track again at Lake Sylvester Hut. We then follow the same track back down to our accommodation. 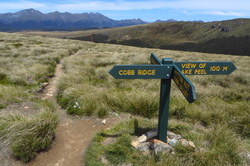 We climb up to the Cobb Ridge from Trilobite Hut and then carry on to Lake Peel and even on further to summit Mt Peel(1654m) if people are keen and if weather permits. 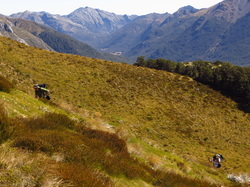 From the Cobb Ridge, the views over Mt Arthur and the seemingly never-ending ranges of mountains that form the Kahurangi National Park, begin to unfold. 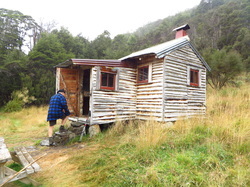 This walk takes us up the glacial Cobb River Valley past the historic Chaffey's Hut and along to the recently restored 'Tent Camp' for lunch. The views of the steep mountains that rise up on each side of the valley are phenominal. 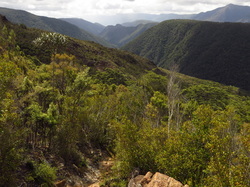 If people are feeling fit, they may like to continue on further up the river valley towards the Cobb Hut and some may even choose to go as far as Fenella Hut before turning back. This is our chance to fit in a visit to the now abandoned Asbestos mine and the historic Asbestos Cottage, before driving back to Nelson in the afternoon. 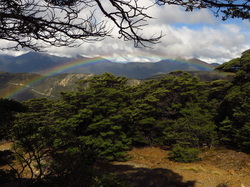 We begin this walk by walking along the Cobb Ridge until we drop down into the catchment of the Takaka River and arrive at the Asbestos Cottage for lunch. On our way back to the vehicle we pass the fascinating open cast old asbestos mine. We arrive back in Nelson at approximately 5pm.